I Dream of Africa. And I revisit it regularly though my Kenya Photos. 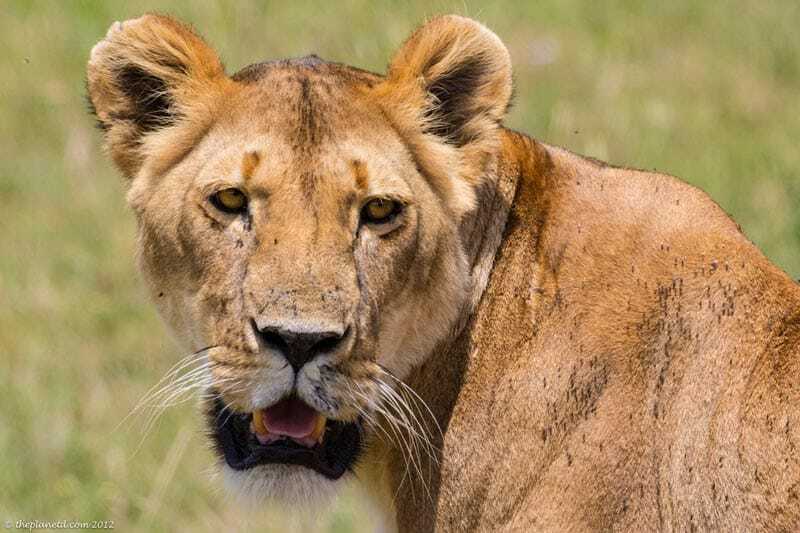 Travel in Kenya is exactly what one hopes for when going on safari in Africa. The people are friendly, the scenery is spectacular and even though the country is progressing at a rapid pace, it still feels as if you have stepped back in time. Many times we found ourselves daydreaming about the past wondering how Roosevelt and Hemingway spent their days as we relaxed at the Fairmont Norfolk in Nairobi. I envisioned a time when animals roamed freely and when the tribes ruled the land. 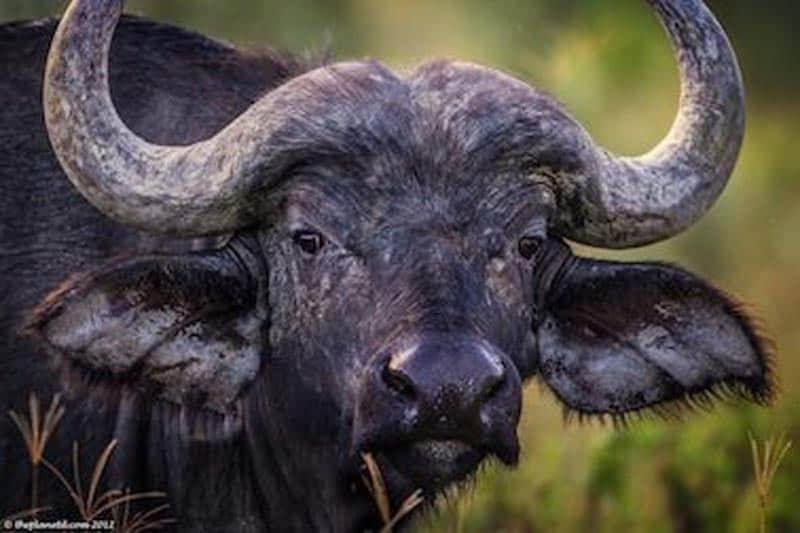 There are bits and pieces of tribal life surviving in Conservancy's around the game reserves and the numbers of endangered animals are slowly coming back as photo safari tourism rises and the trophy hunting days of the past are slowly being pushed to the side. We witnessed incredible beauty throughout the country and these are all my favourite Kenya photos from our time in the country. 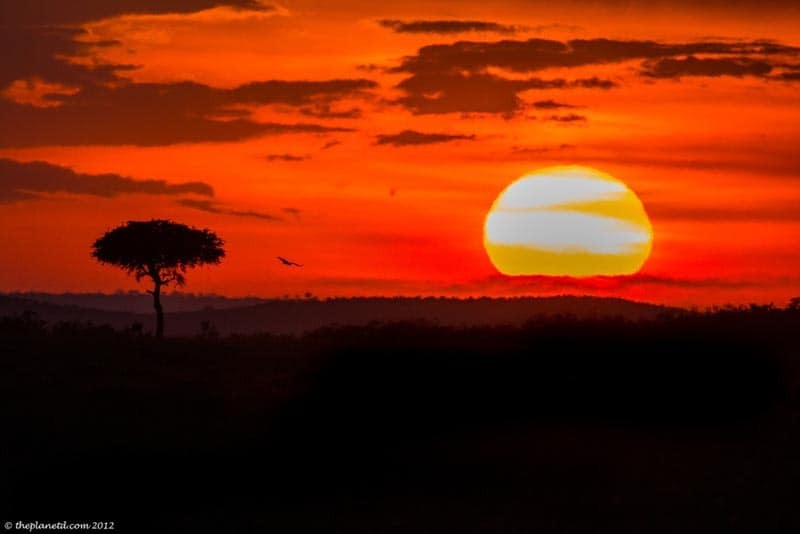 Nothing beats an African sunset. Once you see one it will steel your heart. 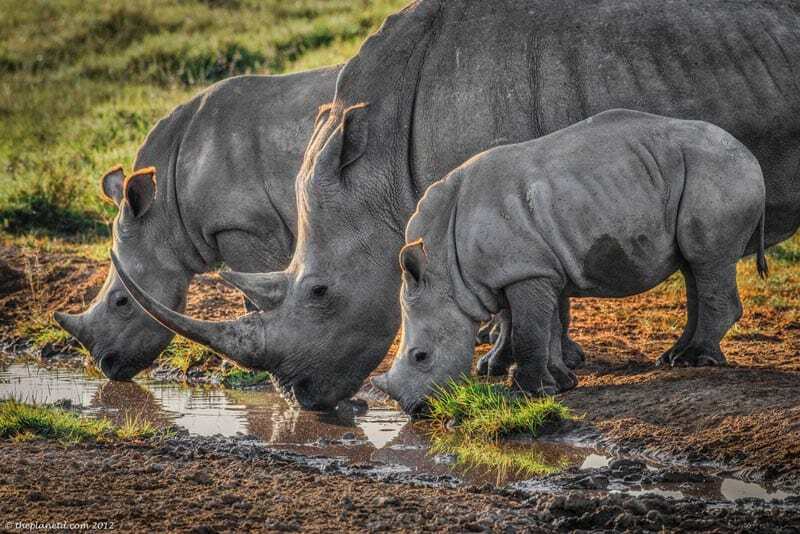 A Family of White Rhino drink in the morning sun at Lake Nakuru. 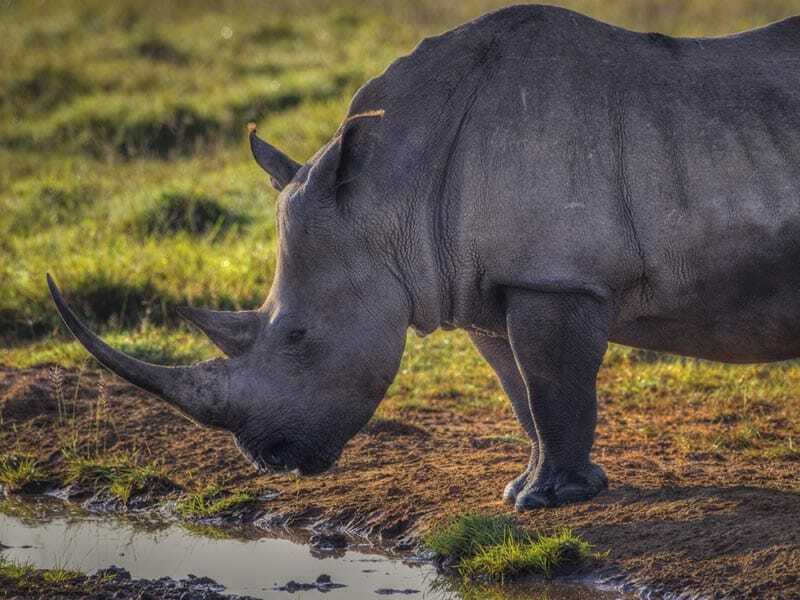 Rhinos are some of the most elusive animals in Africa, but you have an almost guaranteed chance of seeing them in Lake Nakuru. Kenya is even beautiful when a storm is coming. 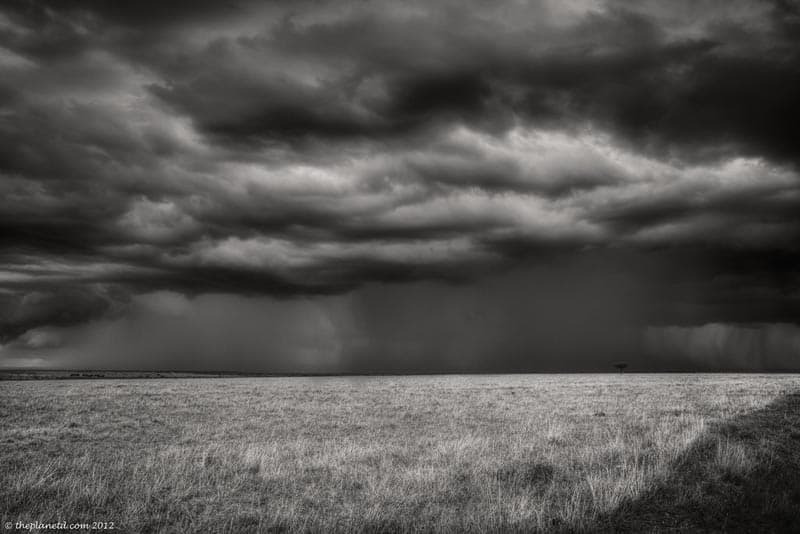 The dramatic clouds make for stunning Kenya photos. This male lion looks a little straggly, but that is only because he is young and his hair is just starting to come in. It won't be long before he has a full mane. Visiting a Maasai Tribe when in Kenya is a must. The Maasai people of Selenky welcomed us into their homes. 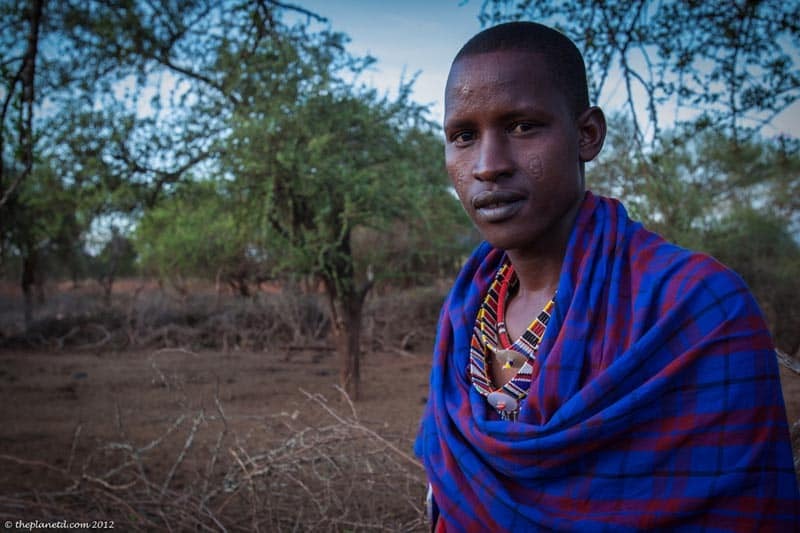 Photographing the Maasai people was a highlight for me. Meeting them really added to the diversity of my Kenya photos. 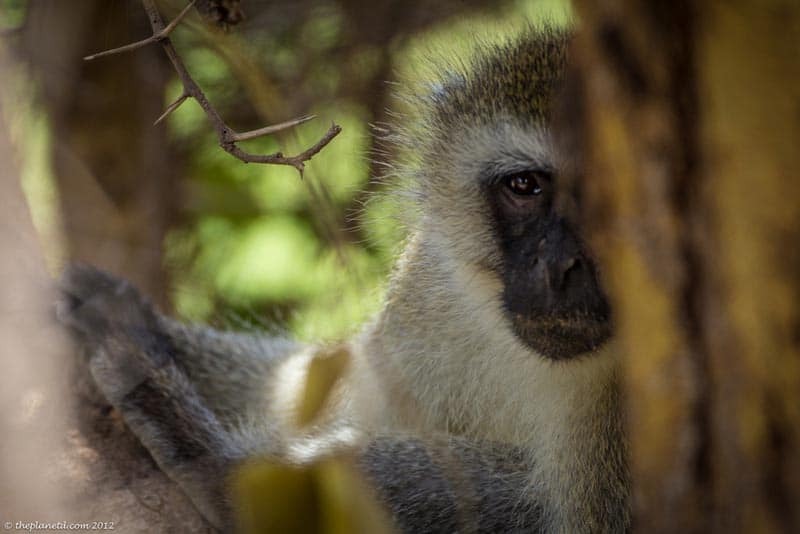 Most people don't think of monkeys in Africa. Everyone is too focused on lions, leopards and elephants. But when you spot these little guys, they are the cutest. 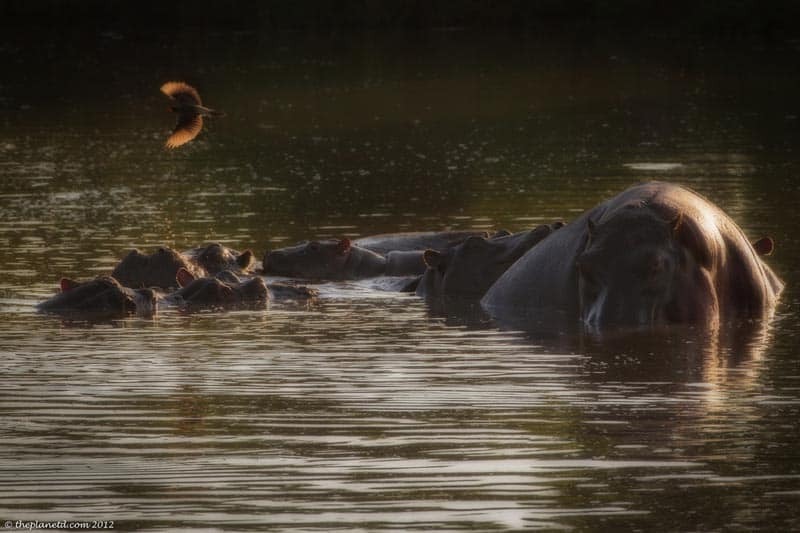 Most of the time we saw hippos in the distance, but at our safari lodge in the Masai Mara, we had a hippo pond right on the grounds! Note to travellers, you always need a guide when walking in Kenya. 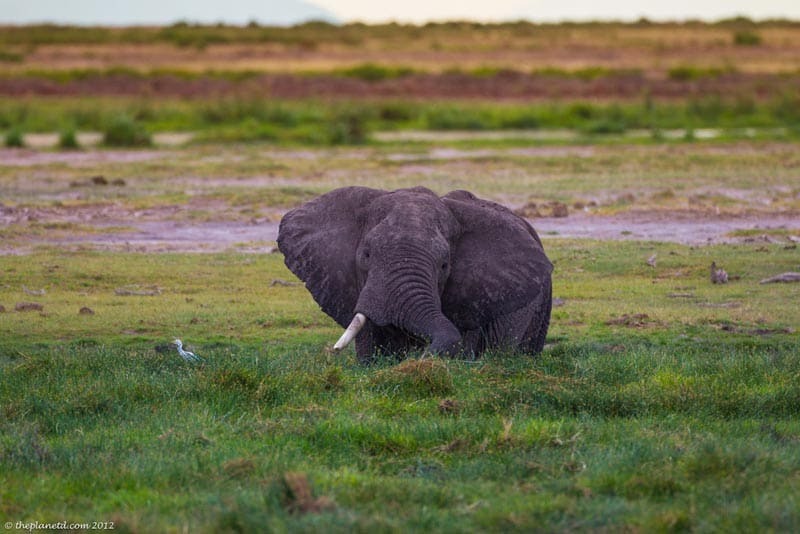 There are no shortage of elephants in Kenya, especially in Amboseli National Park. It is fascinating to watch a lioness hunt. We tracked her for at least an hour. 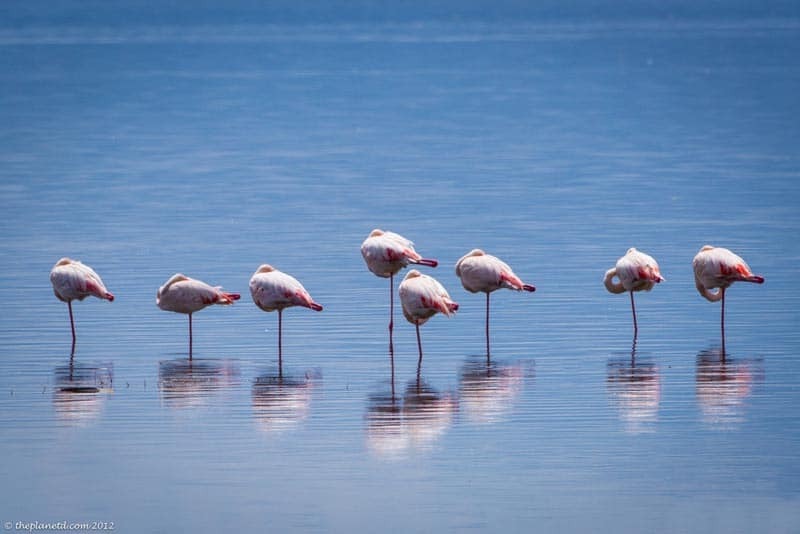 Lake Nakuru is famous for its flamingo population. 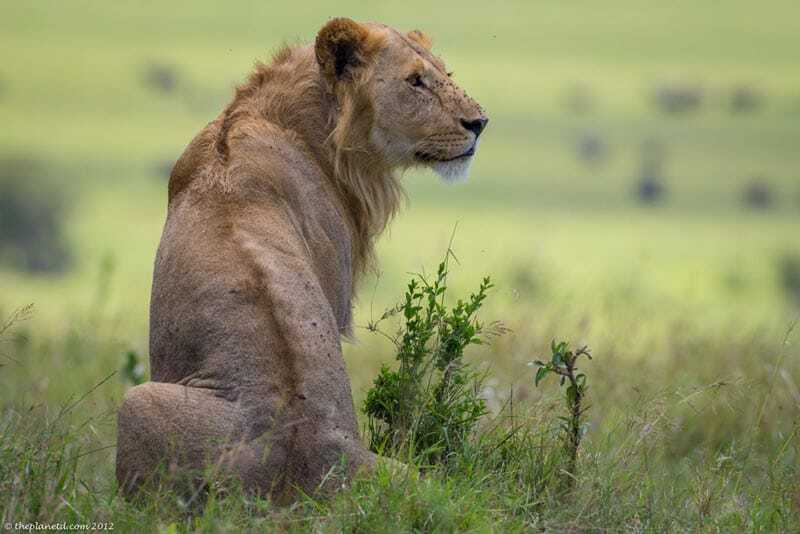 We hope you enjoyed these Kenya photos from our time on the Masai Mara, in Lake Nakuru and Amboseli National Park. There were so many varied landscapes wildlife and experiences, we cannot fit it all into one photostory so check out more in the links below. 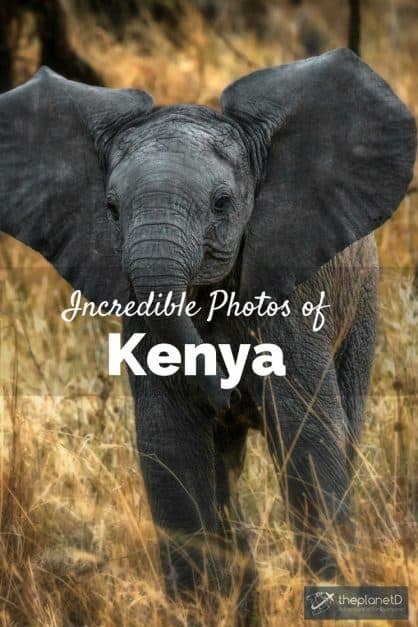 59 Responses to "Incredible Kenya Photos, A Visual Journey"
Those are some great photos especially showing the animals and the people of Kenya. Very healthy kids. 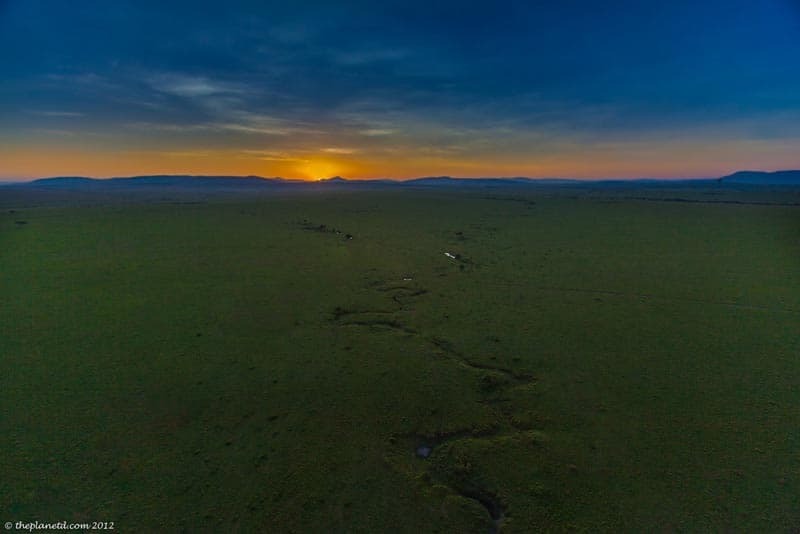 The pictures of Amboseli sunsets, elephants and the rhinos in lake Nakuru national park are amazing. I know coz Im able to see them oftenly during my 1 day safaris to Amboseli national park and lake Nakuru national park day tours. Lucky you! Amboseli was amazing. 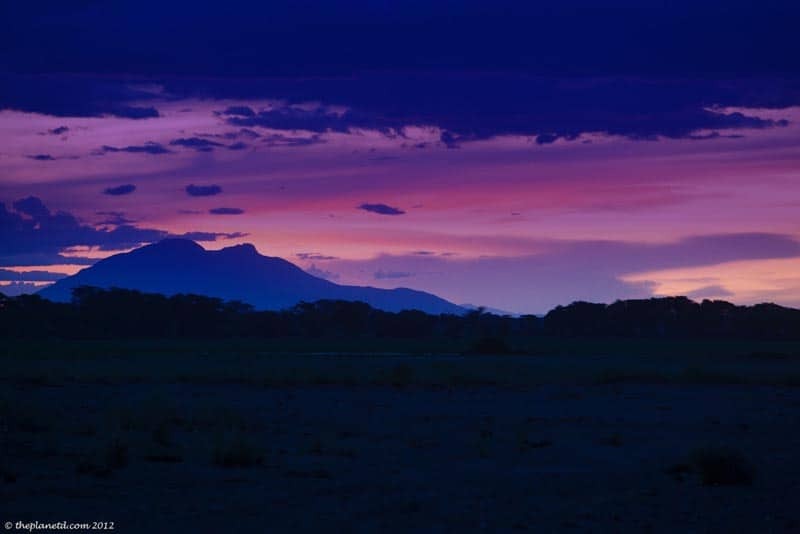 I’d love to be there when it’s clear enough to really see Mount Kilimanjaro. It was shrouded in cloud when we visited, but still gorgeous. Spactacular place and amazing photos! Amazing photos! What size lens did you use? Great photos. I would encourage those who haven’t visited Kenya to do so. 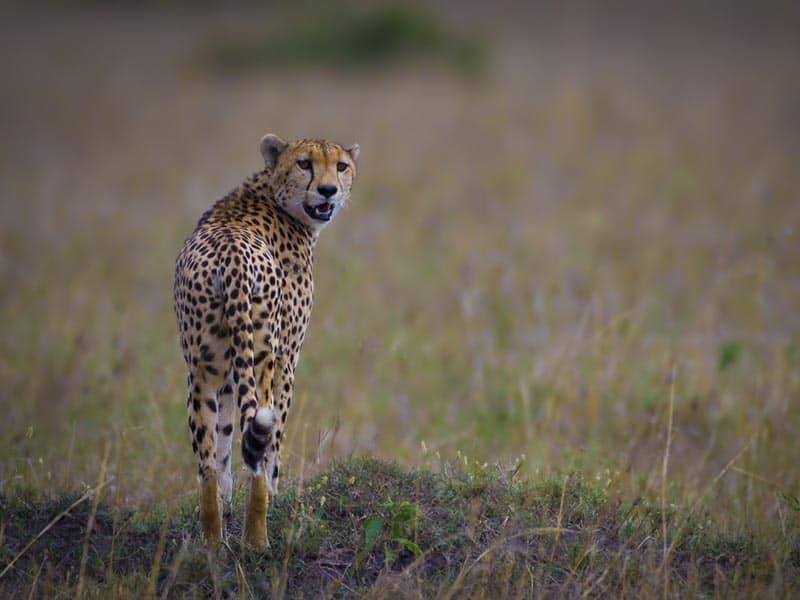 Together with Masai Mara, there are other spectacular destinations such as Kakamega, Aberdares National Park and Samburu National Reserve. Thanks for the tips. you are so right, there is a lot to see in Kenya. It will take us many visits to this extraordinary country to be able to see it all. Fantastic shots, you always catch the best moments! I’m afraid my comment doesn’t bring anything now – me, too, I am very impressed with your amazing pictures; be it the landscape, the wildlife, or the people! Waiting for the right moments (and playing Tetris;)…) definitely payed off. Wow! Amazing photos as always. I love how you brought out the eyes in that leopard photo. Just… Amazing! I’ve been to South Africa, Namibia and Botswana, but never to Kenya. It looks stunning. Thanks for sharing these super photos. You’d love Kenya Simon! We had been to all those other places before Kenya as well and there is something quite special about the country that makes it one of our favourite spots in Africa. It has a lively positive energy that reminds us of Tanzania as well. Two amazing destinations. Gorgeous photos! Africa is so spectacular!! We agree, Africa is spectacular. Africa is one of our favourite destinations. We are so happy that we could revisit it after fours years of being away. There is something about it that keeps drawing you back once you step foot on the continent. I’m sure you’ll get there one day soon for sure! Lovely photos on your travel. Two thumbs up for it! Wow you guys! 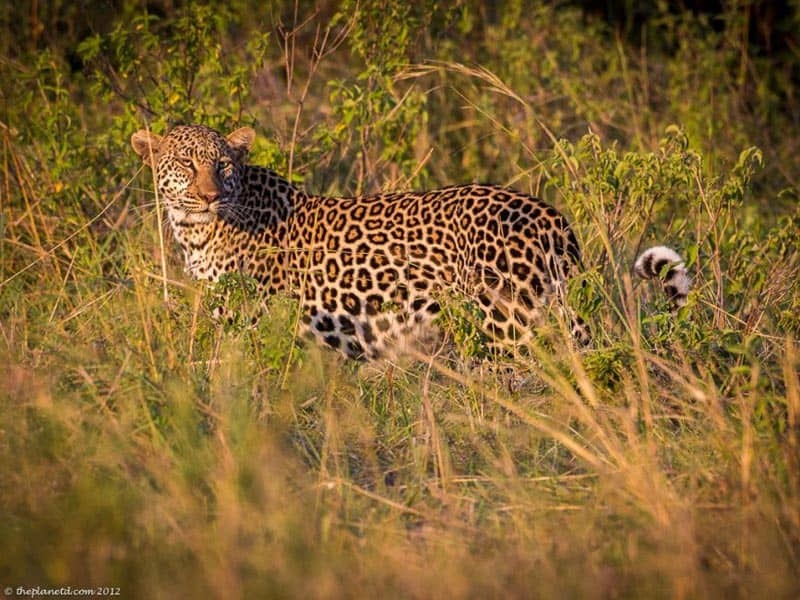 You know how much we love your photos, but that one of the leopard is incredible. It’s our favourite yet, Nick and I are at a loss for words! The fact that it’s looking right at the camera, the lighting is perfect and it’s in a tree! Thanks so much Dariece. We Love the leopard the most as well. It all worked out well, but I have to give Dave kudos for being patient. When he caught sight of any animal, he sat with his eye against the lens and waited patiently for however long it took to be ready to snap a photo. At one point, I sat in the van and played Tetris on my iPhone because I was so bored. Dave stayed steady and kept an eye out for movement and managed to grab shots like this. It’s his patience and talent combined that made for such incredible photos. Not everyone can do that. I feel that he got National Geographic shots and we only had a 3 day safari to do so. Most photographers need weeks in a location to do what he did. Plus, our guide Makau was really great at keeping an eye out and making sure that we got what we needed. Simply exquisite photos guys. I’ve explored southern Africa but the eastern part of the continent is high on my list for the future. The photo of the group of children is particularly touching. Kenya is amazing. I think it’s our favourite country in Africa. Tanzania was originally, but now we’ve swayed to Kenya. South Africa is nice too and we always have a great time there, but there’s something about the other countries in the continent that really move us and fill us with emotion. 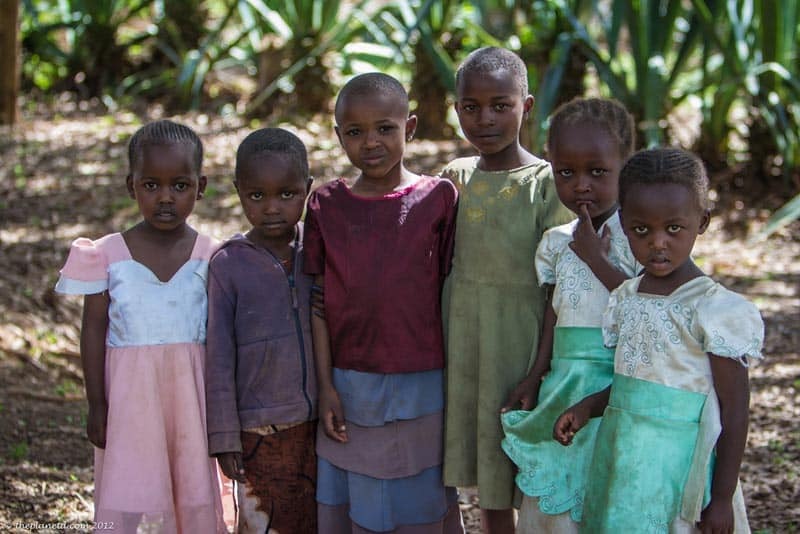 Zambia, Namibia, Sudan, Ethiopia…we love them all! We still have yet to explore Western AFrica though, I can’t wait to see what they’re like. Hopefully soon! Outstanding photos, D & D. You must have gotten quite close to the animals. My 11-year-old has a safari near the top of her list; looks like Masai Mara would be a good choice. Thanks Sophie. Yes, at times we definitely came very close to the animals. Dave had a 500ml lens though as well. So for the leopard and male lions, that came in handy. They were still a bit away from us. you could see them with the naked eye, but when we tried to video them with my camera, they were too far away. The big lens helped immensely. Nice pics. The trio rhinos are particularly cute. But I still wouldn’t like to meet one close up. Hoping to take the kids on safari in South Africa in the summer. Haha, yes Kirstie, it’s much safer to remain in the van and watch the rhinos from a safe distance. They are cute though aren’t they. I hope you have an amazing safari this summer! Amazing photos! It is so hard to choose favorites, but I absolutely love that sunset in Masai Mara and the family of rhinos. I hope we get to go on safari someday. Until then, I will ogle these photos. Thank you Jennifer. I love that sunset too. I think what I love the most was the memory. 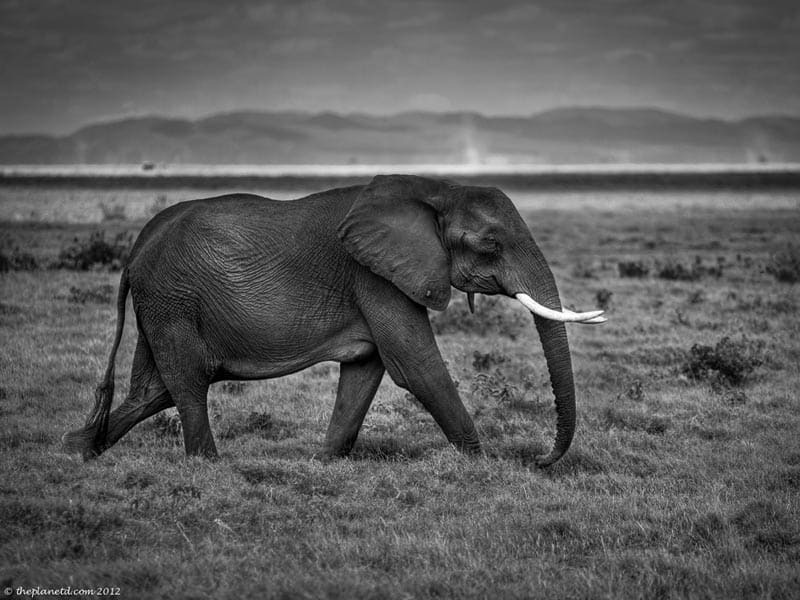 I’ll never forget the elephants walking by us in silence at sunset. It was so beautiful it brought tears to my eyes. Amazing collection of photos. I loved the Rhino family photo the most. Can you tell me which lens you used to get a close up photo of the animals? Hi Sheila, we used a Canon EF 500 mm lens. I highly recommend it when you go on safari in Kenya. we didn’t need it for South Africa, but Kenya definitely. These are really amazing photos! I’ve wanted to go on a safari for a really long time, and this has me even more antsy to go! Same with us. We spend 4 months in Africa in 2008 and didn’t do a proper safari except for a cruise in Chobi National park. It was so exciting to finally be on a real Masai Mara safari four years later. Wow! I’ve never been on a safari… yet. I must admit Kenya was never a destination of choice for one, but maybe with these photos, it could be. Great visual on what was probably an extraordinary journey. Thanks Sherry, Kenya is really incredible. We’ve been to about 10 countries in Africa, and after visiting Kenya its right at the top. We went on safari in South Africa and Botswana as well, and they don’t compare to safari here. Now we just need to do the Serengeti in Tanzania so that we can truly compare. Wow – stunning photography guys! I would love to go on a safari in Kenya. Thanks Megan, A safari in Kenya was definitely something special. OMG!!!!!!!! I want to move there. It’s the most beautiful place in the world! There’s a lot of construction going on there right now, I think it is an excellent time to move to Kenya! Great pictures! The classic sunset has to be my fave. Fantastic collection of photos – took me back to when I’d watch National Geographic on Sunday nights as a kid. 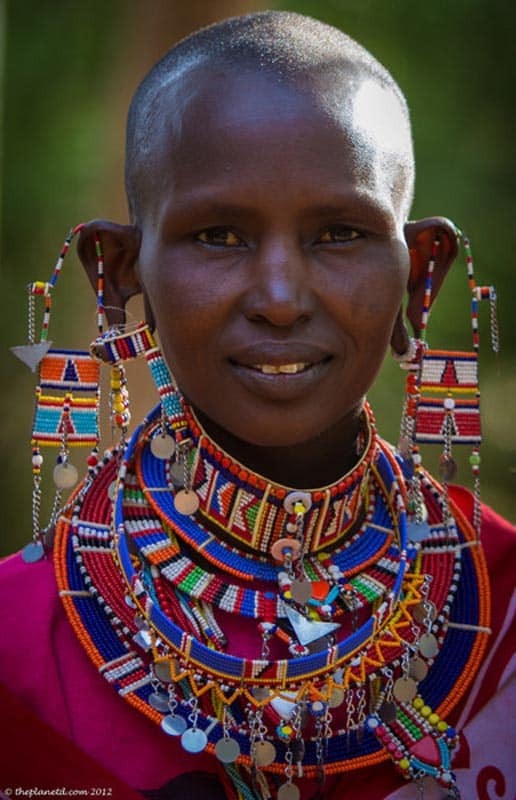 My favorite is the photo “The proud Masai People of Kenya” – it’s a beautiful portrait and the colors! Wow! Thanks Maria, that’s an amazing compliment. Visiting the Masai was a special moment during out trip. 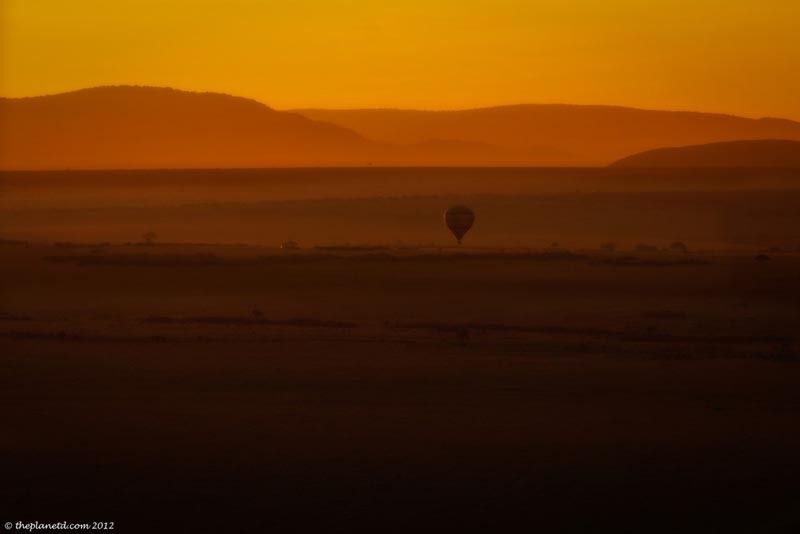 These are truly magical Kenyan photos capturing the pride of its people and the spectacular landscape. Ours is a truly beautiful country. You are right, you have a beautiful country. Stunning pictures. I hope a safari is in our near future! Holy cow, what amazing images! I can’t even choose a favorite – they are all so striking! Can’t wait to go on safari myself sometime. Thanks Amanda, I’m glad you liked them. We had a hard time choosing as well. Just choosing these photos for the post was difficult enough. Dave has so many amazing shots. Incredible photos! Wow. 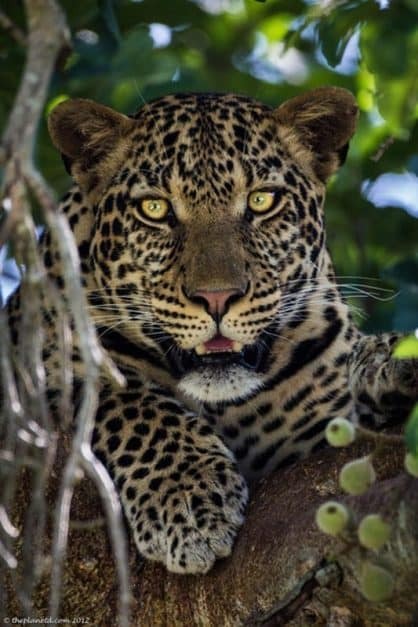 I’ve just got back from safari and it was so tough to get a decent shot of a leopard. The one you’ve caught on camera is beautiful. Thank you Monica. We were really lucky to have the tree all to ourselves before all the trucks arrived. Plus I had a really good lens with me too . Absolutely, utterly breathtaking. No words. You surpassed yourself even. Thanks Linda! 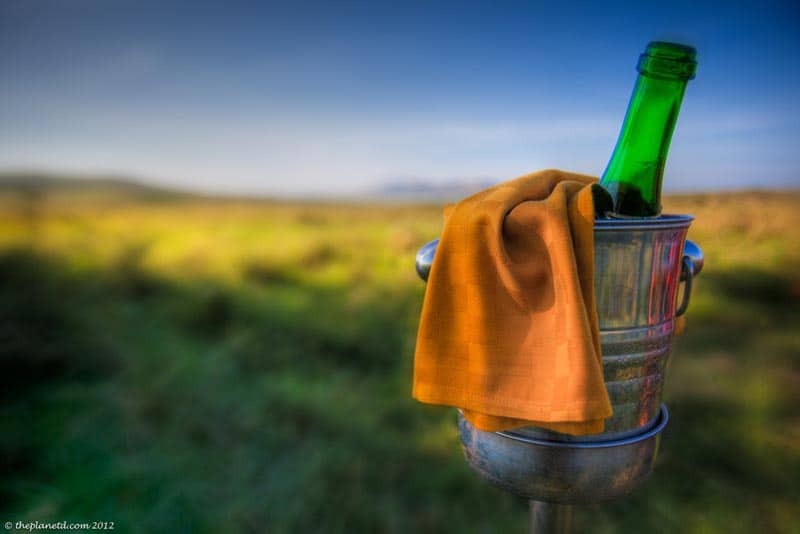 Kenya was a beautiful location to photograph.